A walk-in tub is a great way to prevent injuries from occurring in the bathroom. Before investing in a walk-in bathtub, you’re likely to have some questions. We’ve put together a list of answers to some of the most commonly asked questions about walk-in bathtubs. What is the best material for a walk-in bathtub to be made of? Walk-in bathtubs are typically made of either acrylic or fiberglass. Although acrylic offers reliability, durability, and longevity, at Accessible Bath Solutions, we believe fiberglass is a better value. Since consumers sit down in a tub, the surface does not wear as it would in a shower, and therefore doesn’t require the features of higher priced acrylic. Is it possible to shower in a walk-in bathtub? Absolutely. With a handheld shower extension mounted to your wall, you can also enjoy the convenience of a shower in your walk-in bathtub. With the simple installation of a shower rod and curtain, you are ready to go! Nearly everyone remembers the commercial about the woman who had fallen in her home and couldn’t get up—her plea for help even became the punch line for many jokes soon after the spot aired. Falls in the home are no laughing matter, however, especially for seniors. One area of the home that is most likely to be the scene of an accident is the bathroom. 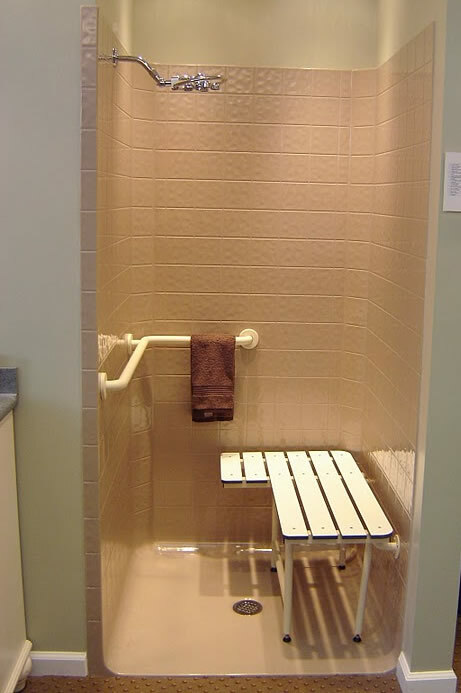 At Accessible Bath Solutions, we specialize in accessible Appleton bathroom remodeling and we want to ensure that you never have to suffer from the pain or embarrassment of a bathroom fall. We can’t avoid the necessity of bathroom. We can, however, lessen the likelihood of sustaining an injury in one. Read on to discover what we can do for you. Who is at risk? Although anyone can suffer from an injury related to a fall in the bathroom, seniors are particularly at risk. 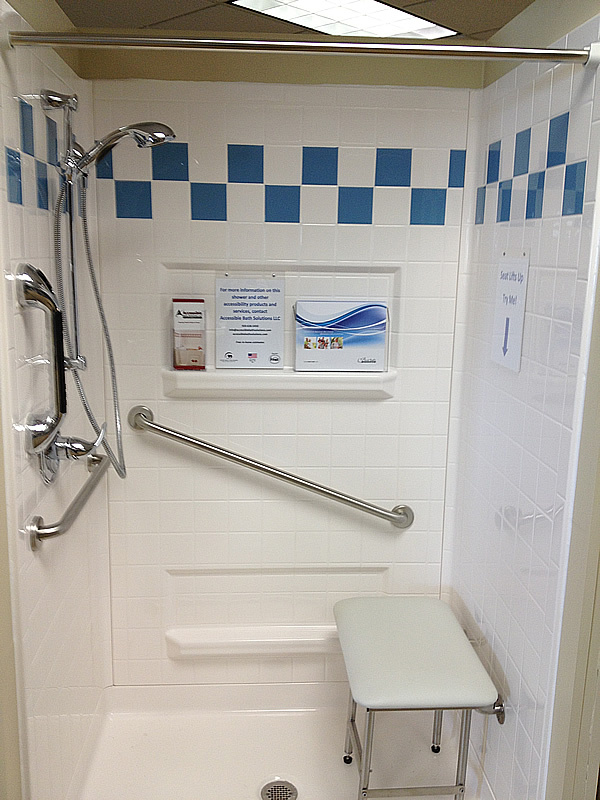 March 8-10, 2013: Home Expo & Parade of Remodeled Homes Stop by this weekend to visit the Accessible Bath Solutions exhibit at the Appleton Home Expo on March 8th-10th! We'll answer all your questions, check out our walk-in tub demo and take advantage of our show-only special - save $250 off a Best-Bath walk-in tub or shower! Home expo When: March 8th - 10th, 2013 - Friday, 4-8pm; Saturday & Sunday, 11am-5pm Where: Player's Choice of the Fox Cities W3035 Edgewood Trail, Appleton Take advantage of this opportunity to meet with housing professionals to have your housing questions answered and to see first-hand the newest products, services and techniques that can help you make your dream home come true. Accessible booth displayAccessible Bath Solutions will be running a show-only special "Save $250 off a Best-Bath walk-in tub or shower". The cost of remodeling a bathroom is entirely up to you; however, with every bathroom remodel, the first place to start is by defining your budget. To better follow the guidelines of your remodeling budget, look at the project as a whole so you don’t get too carried away only to find yourself scaling back later on. An average bathroom renovation cost can be difficult to determine, given the differences in bathroom sizes, requirements, styles and so on. 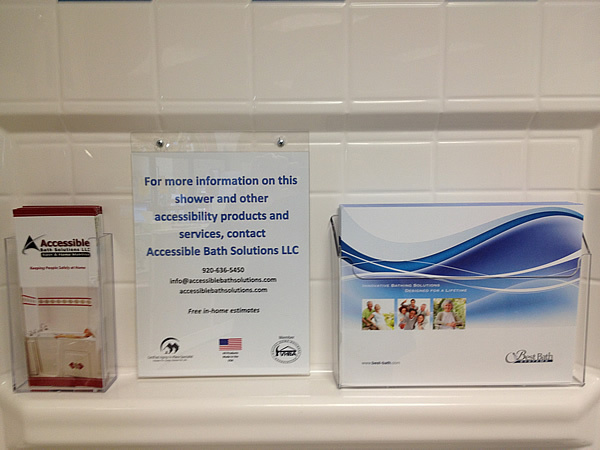 At Accessible Bath Solutions, we specialize in accessible bathroom remodeling in Appleton, Green Bay, Oshkosh, WI and beyond. Costs for accessible bathroom remodels are different from a standard bathroom remodel because specialized upgrades are required to improve mobility and reduce the risk of accidents. With more seniors wanting to remain independent in their homes, walk in bathtubs are increasingly becoming popular. You’ve probably seen advertisements on TV or perhaps you’ve visited a bathroom showroom recently and noticed one or two on display. But what exactly are the benefits of a walk in tub? Let’s take a look. "Thank you for the excellent job you did. You and your workers were a pleasure to deal with. You were very accommodating and wanted to make sure I was happy. Our accessible bath services have been rated 5/5 based on 9 reviews from our clients. 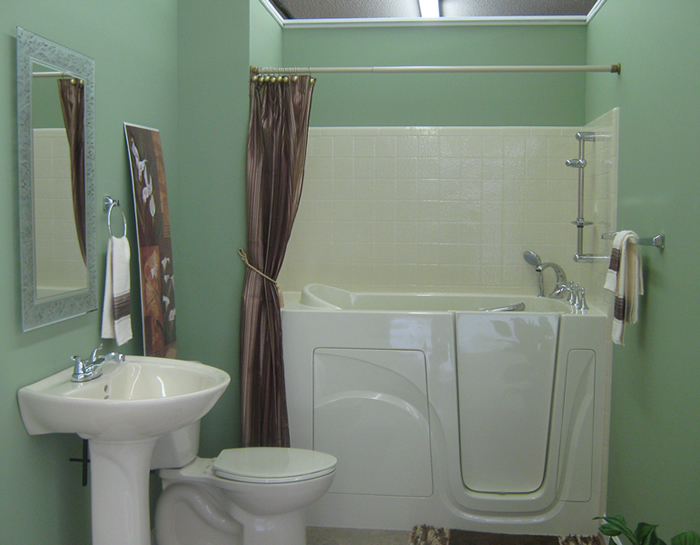 Searching for a Reliable Accessible Bathroom Remodeling Company Who Understands Your Specific Needs? Some of our Services Include: Handicapped Bathroom Remodeling, Accessible Bathroom Solutions & Installations, Walk in Tub Installation, Tub to Shower Conversions in Appleton, Green Bay, Oshkosh, Fond du Lac and the counties of Winnebago, Outagamie, Brown, Calumet and Manitowoc.